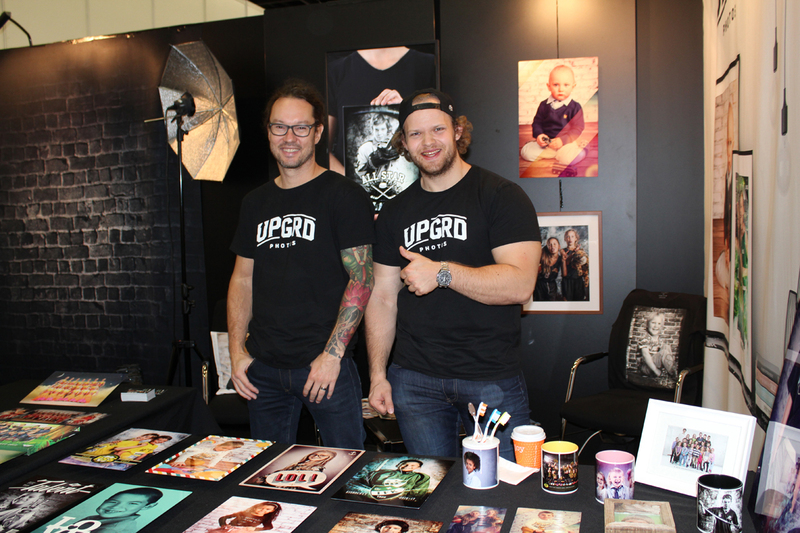 (PHOTO: Finntastic) Co-founder Matti Rajala and Head of Business Development & New Ventures Alex Günsberg from UPGRD Photos on their exhibition stand at the Photokina Fair 2016 in Cologne. 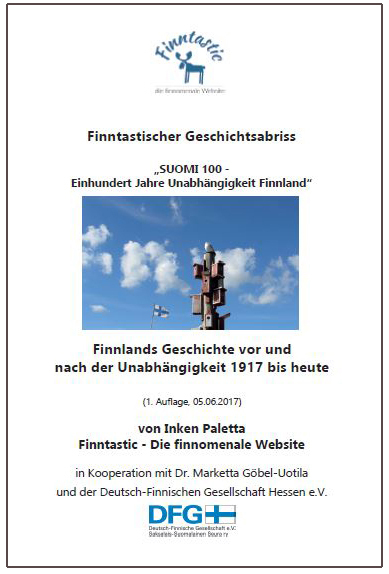 (Brand naming) Finland is one of the most creative European countries in the world. Many famous architects, designers and artist come from Finland, for example the Finnish architect Alvar Aalto, designer and architect Eero Saarinen or designer and painter Akseli Gallen-Kallela. Finnish people love art and design and in 2012 Helsinki was Design Capital besides Tallinn. Finnish companies like Marimekko, Finlayson, Iittala or Arabia are famous in Finland for their beautiful design, for instance colorful fabric, clothes, dinnerware or flower vases. But that’s not all. Many innovative start up companies and creative business ideas are typical for this nordic country. Not only but also in Helsinki exists a huge start up and founder community. 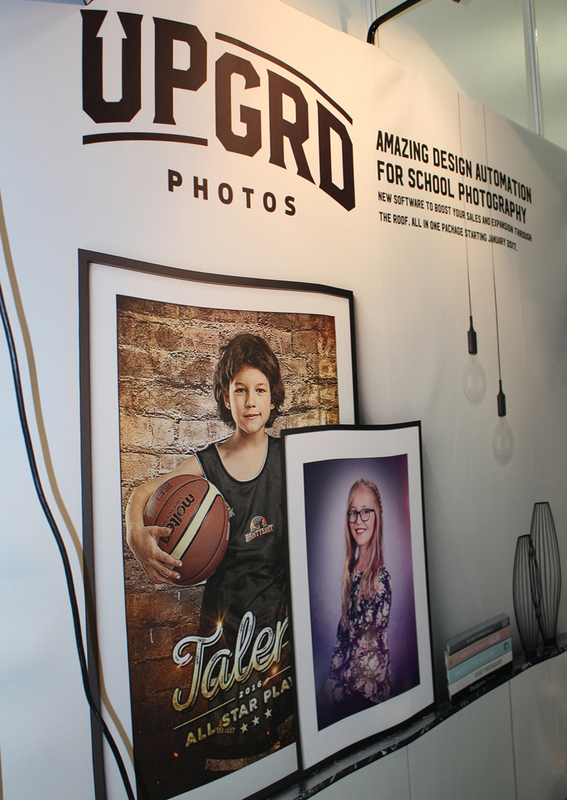 On my way through the Photokina Fair in Cologne this year, I discovered one „finntastic“ company from Finland: UPGRD Photos. The Company belongs to the Retouch Group Oy, which is based in Helsinki and was founded in 2012 by the Finnish graphic designer and art director Kari Vähäkangas. Beginning as a start up company, the firm grew to a market-ready and successful business over the years. 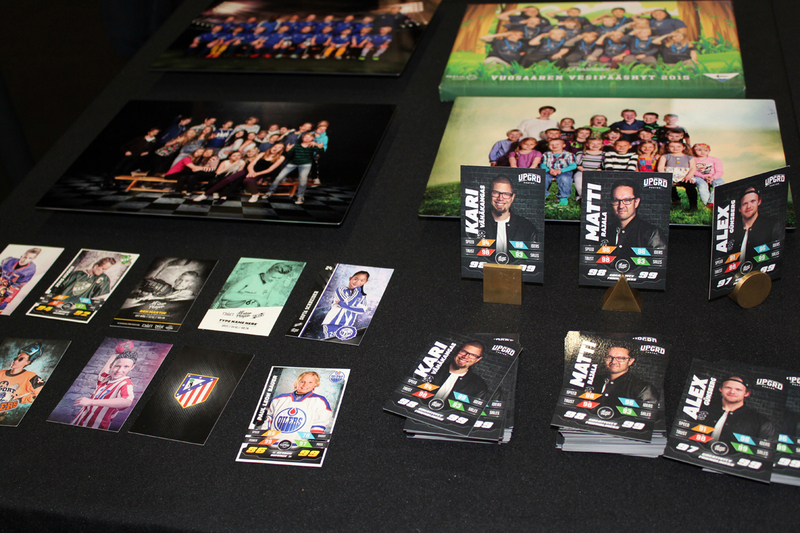 In 2009 the demand for the pictures got so big, that I had to engage my good friend Matti Rajala, who is a professional photographer, to help me managing the growing demand“, he explains. Together they developed the company model for the Retouch Group Oy, which was founded in 2012, getting ideas by participating in various exhibitions and sport events. Although there has been a high competitive market in this design photo business, the company grew and grew and in 2015 the orders became so much, that they had to develop an enterprise solution in order to manage photographers, photo shootings, custom designs and online store. 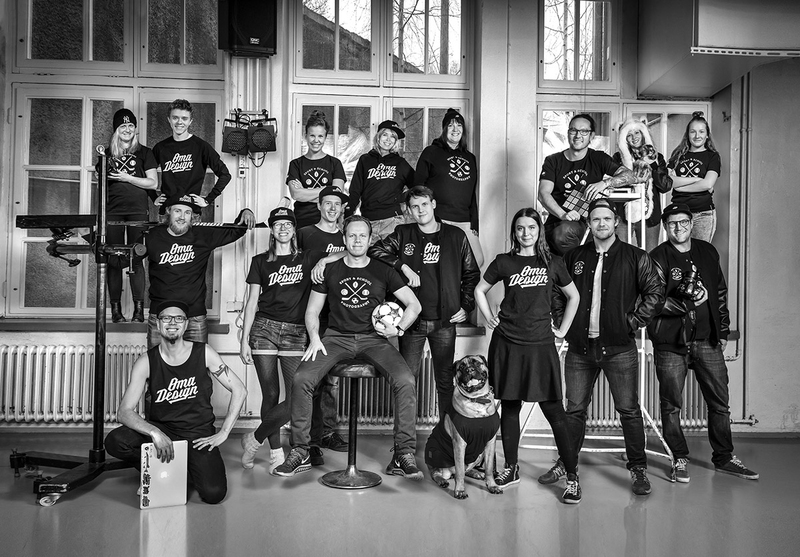 In 2016 the Retouch Group Oy is divided into two new business areas: Oma Design (Your Design), which is focusing on school, kindergarten and sports club photography in Finland and UPGRD Photos, the software business, which is concentrating on international markets. 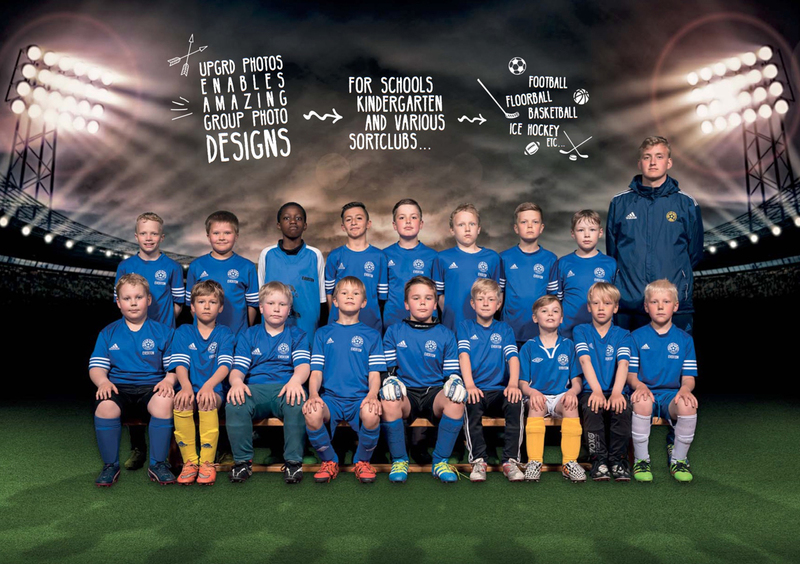 The school photographer team in Helsinki of Oma Design (Your Design) arranges on-location photoshootings with special lightening setups at schools, kindergartens or sport clubs and create afterwards beautiful group and single photos with graphic design. The software instead enables other photographers in this professional business and other companies, which have to do with school, kindergarten or sportsclub photography, to manage their photoshootings. Moreover, they get also acess to the online-store with all the customized designs of OmaDesign for creating their own design photos. (PHOTO: Retouch Group Oy/UPGRD Photos) UPGRD Photos enables business photographers and other companies of this business field creating innovative and special kindergarten, school and sportsclub photography. The company was also funded by the Finnish goverment organisation TEKES and the European Union for developing their innovative enterprise software solution. TEKES supports Finnish hightech companies to establish their business ideas globally. They have special criterias to evaluate companies that pitch business ideas for them. 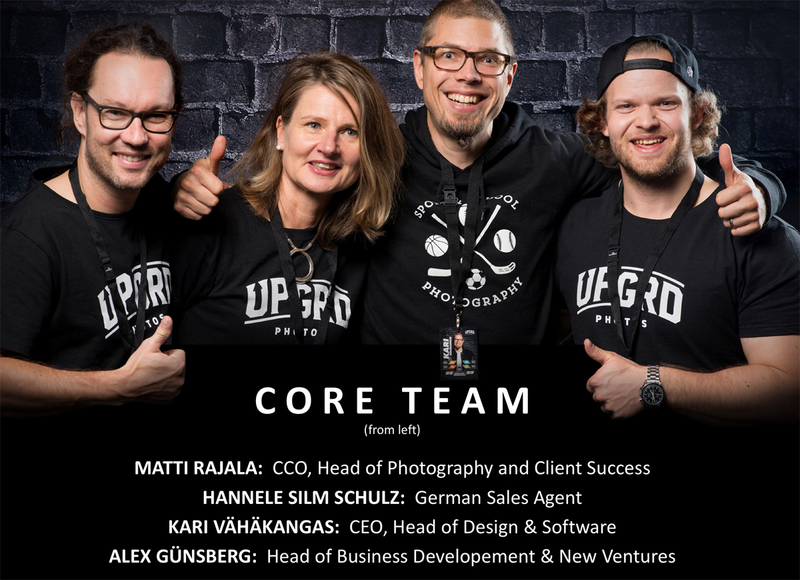 „We were fortunate that they really saw our potential and got onboard“, says Alex Günsberg, Head of Business Development & New Ventures from UPGRD Photos. In January 2017 UPGRD Photos will launch their software solution in Germany. „We are glad to be ready for entering the German market and we are looking forward for interesting business cooperations“, says Co-founder Matti Rajala. At the moment the company is looking for key partners who share the company values and the passion for graphic design and kindergarten, schools and sports club photography. 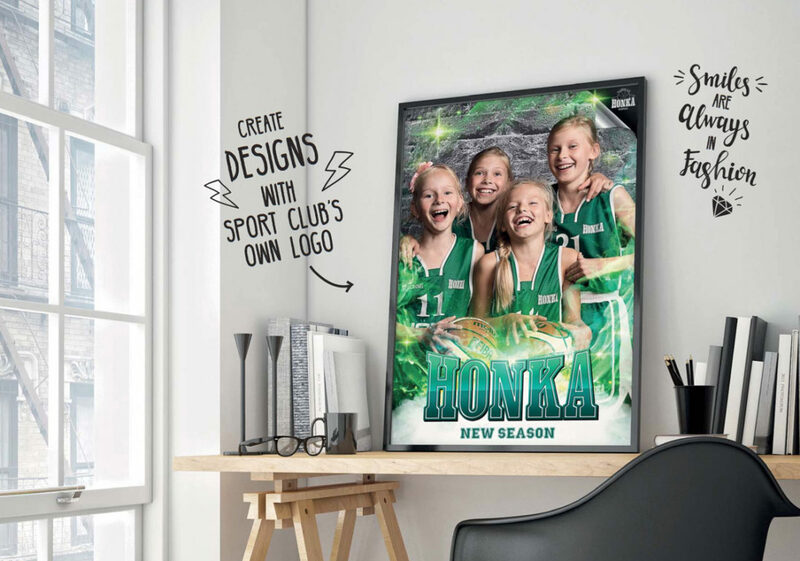 I like the creative company idea of UPGRD Photos very much, because it is a great thing for kids to get a single design or group photo of their school class, kindergarten or sports club. It is a very nice souvenir and something special, the kids could be proud of. And it fits well as decoration on a shelve in the childrens room. And which is most important, they could show it to their friends, parents and grandparents. How to get in contact with UPGRD Photos? If you are interested in a collaboration with UPGRD Photos, you will find more information about the company on the Oma Design (Your Design) Website (unfortunately only in Finnish). But you could write a mail also in English or in German to the contact persons below.